It was always a little dubious that US cities, in the name of recycling, would ship millions of tons of recyclable material, often mixed in with trash, to China—as if moving these items thousands of miles did not require a significant expenditure of fossil fuels. But now that China has said “no more” to these imports, local communities are having to change their practices, notes National Public Radio reporter Christopher Joyce. The result of the upheaval: Recycling centers across the US—both nonprofit and otherwise—have been losing funding, rethinking collections, and sometimes burning plastics that can no longer be shipped overseas. For years, America sold millions of tons of used yogurt cups, juice containers, shampoo bottles and other kinds of plastic trash to China to be recycled into new products. But last year the Chinese government dropped a bombshell on the world recycling business: It cut back almost all imports of trash. And now a lot of that plastic gets shipped to other countries that don’t have the capacity to recycle it or dispose of it safely. Joyce also profiles Recycling Partnership, a nonprofit that aims to improve recycling rates but has seen its mission compromised by the confusion over new policies that aim to capitalize on certain types of recyclables when rates rise. The organization launched the “largest recycling campaign in history” last fall in response to the US recycling crisis. 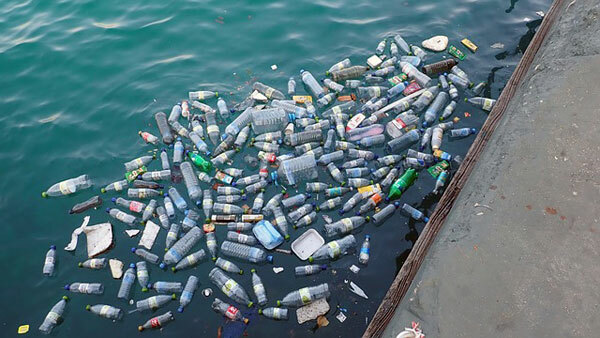 But, instead of trying to reverse the trend, Joyce reports that US shipments of plastic waste are being redirected to other Southeast Asian countries, including Malaysia and Thailand. “Recycling experts say it’s a time of reckoning for their industry and that wealthy countries need to stop exporting to countries that can’t handle it,” Joyce writes. NPQ has covered an emerging economic framework called the circular economy that goes beyond the “out-of-sight, out-of-mind” thinking that recycling has fostered in the wealthier countries. In part, it focuses on conservation—designing waste and pollution out of production systems —and reuse—that is, keeping existing materials in use or repurposing them. Further, companies can be held accountable for the waste created by manufactured products. For example, a new shopping platform called Loop operates like a 21st-century milk delivery service to deliver your laundry detergent and shampoo in reusable, returnable containers. However, David Wallace-Wells, author of The Uninhabitable Earth: Life after Warming, recently reframed the recycling mindset on the podcast Still Processing, arguing that political action is more critical than conscious consumption. It will take political action, for instance, to enforce labeling of “carbon neutral” products, just as it did to get the US Department of Agriculture “organic” program approved by Congress nearly three decades ago. Anna Berry is a writer and editor with more than a decade of experience in nonprofit management, fundraising, and communications. She has covered international civil society, human rights, and the media, among other topics, for Nonprofit Quarterly since 2016. Whether the culprit is lead or other chemicals, pollution in drinking water is widespread. Literally millions, including millions of school-aged children, are affected.